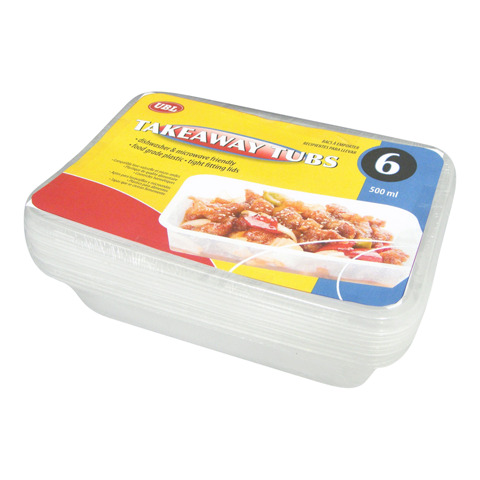 Takeaway Tubs Micro. 500Ml 6Pk. 500mL-16oz l 7.5 x 12.5 x 4cm Incl Lid. Clear. PP Plastic. 27G Packaging: Shrink Wrap with Colour Label .